Have you heard? 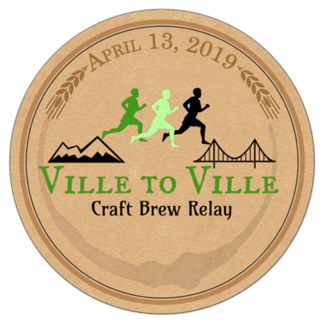 Meals on Wheels of Greenville is one of five local charities partnered with the Ville to Ville Craft Brew Relay this year! We'll have two teams running on our behalf to raise money for our homebound clients. Thank you Ville to Ville Foundation for your support! In order to make this race a success, each registered team provides volunteers to help on race day! We need you to be a Meals on Wheels team volunteer! Roles vary across two locations and times in Western North Carolina at race day transition points AND as a Finish Line Celebration volunteer in downtown Greenville. This will be a great day of fun and friendly competition and we can't thank you enough for helping! Volunteers must be 16 years old, at minimum, as the course is an "open road" course from Asheville, North Carolina to Greenville, South Carolina. Volunteers participating as servers at the Finish Line Celebration must be 21 years of age or older. Bring out your inner cheerleader to encourage the runners! Keep the transition lanes clear for runners to exchange their slap bands - no batons in this relay! Keep the traffic flowing and safe through the transition area! Serve beverages from The Community Tap at the Finish Line. Volunteers in this role must be 21 years of age or older.